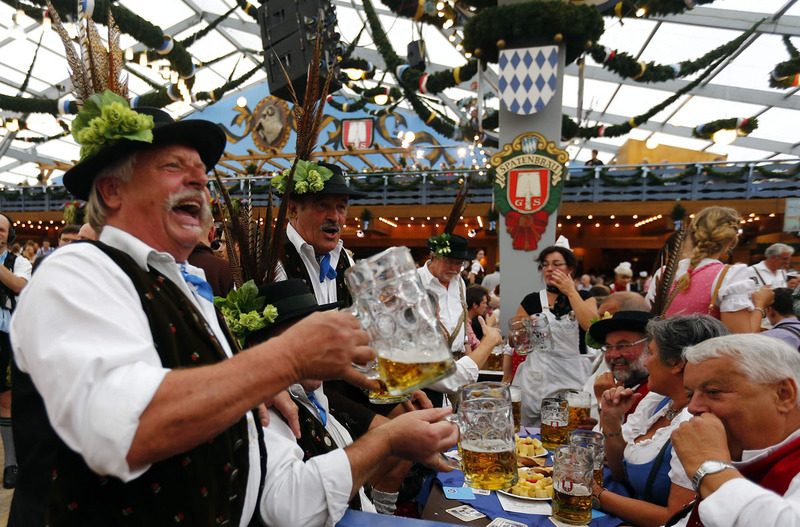 How do you explain to the few who have never been what the Oktoberfest is about? True, indeed… very true! 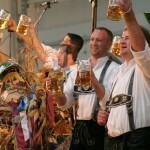 But the definition of “the world’s most important beer festival” does not do justice to the indisputable reputation of the Oktoberfest. 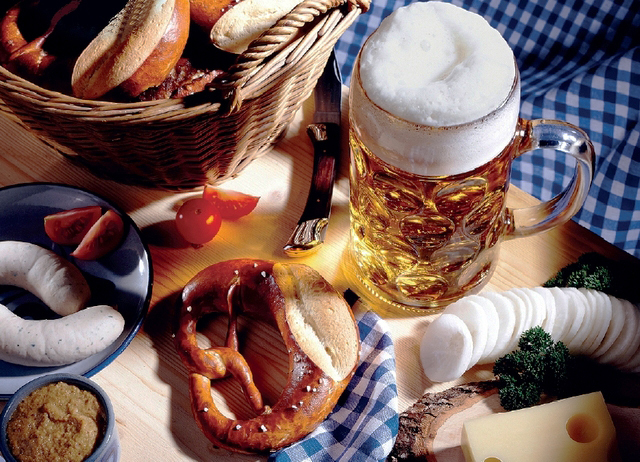 It helps to fully understand what the Oktoberfest truly represents today. 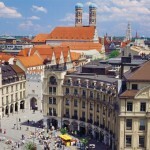 It is an event that asserts with energy and force all the features of its German origin, and none more so than the people of Munich, in that its popularity and size has crossed all national boundaries to become a global event, exported and copied in different parts of the world, also due to the German emigrants who over the years have brought with them a piece of their homeland. 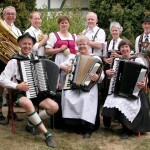 With a long tradition of over 200 years, and each successive year proving to be more and more topical… with its buxom German frauleins, with their own unmistakable festival image with their costumes, with its folklore, its songs and proverbial excesses, it is an occasion to experience at least once in a lifetime, that is exerted on the people of Europe and not just a fascination, as shown by the huge attendances who become the participants in every edition (about 7,000,000 at the last edition). A borderline between good behaviour and transgression, the last frontier of every sin … of the throat and more! The ideal place to forget good behaviour for a day, and to get carried away by the songs, the atmosphere, the collective hangover, by the excess, forgetting the strictures of good dress and diet for a few hours, or for a few days. 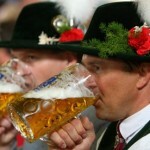 Is it a little clearer now what the Oktoberfest is about? 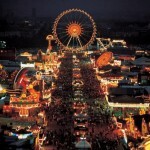 The Wiesn is the huge green space in the Theresienwiese that hosts what is rightly called the largest festival in the world, capable of surpassing every year the previous attendance record. 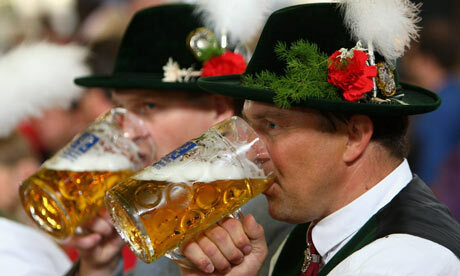 More than 7 million litres of beer are consumed, by more than six million visitors with a total expenditure of 840 million Euro. 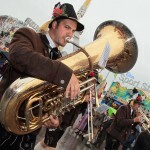 The Wiesn motto: O’Zapft is – it’s tapped! 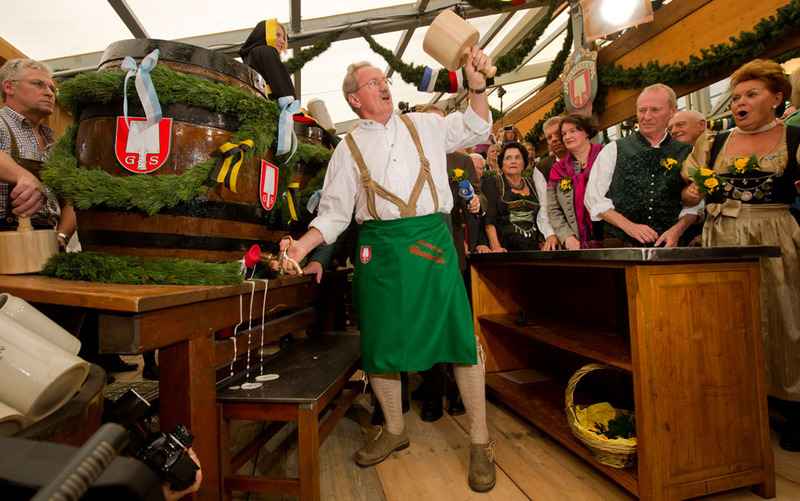 Tradition requires that the first keg of beer of the Oktoberfest is tapped by the Mayor of Munich at midday on the opening Saturday at the “Schottenhamel” tent, a tap of a hammer to the inaugural keg and the cry, “O’zapft is!” (“It’s tapped!”), officially opens the festival. 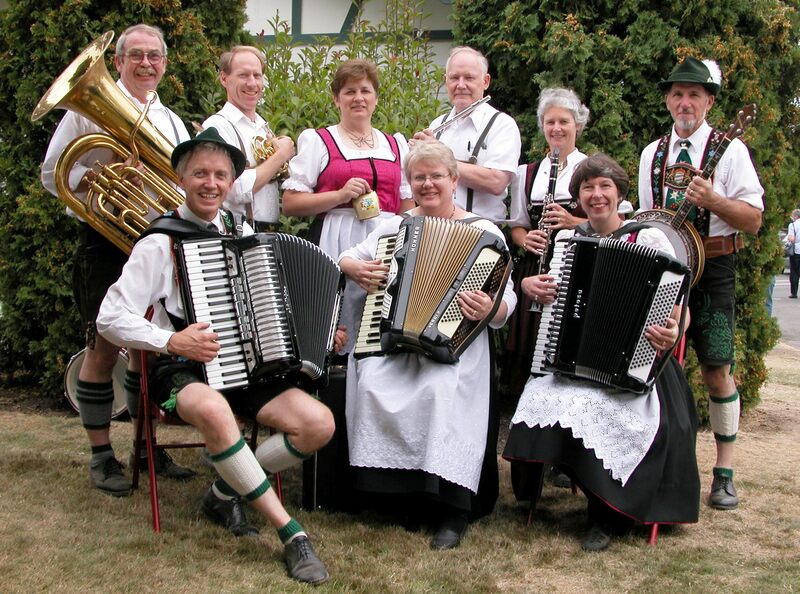 When it starts and ends, the time schedules, the parades, the family day, the concerts of the bands, and everything you need to know about Oktoberfest 2019, day by day. 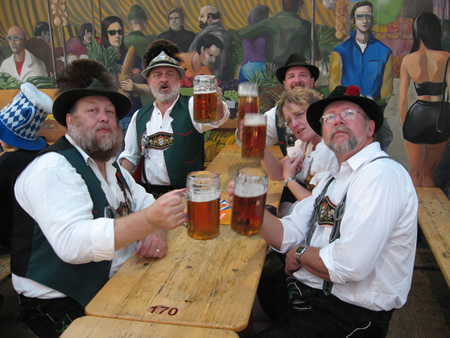 Deciding to go to Oktoberfest is one thing, but knowing how to get there requires some thought. 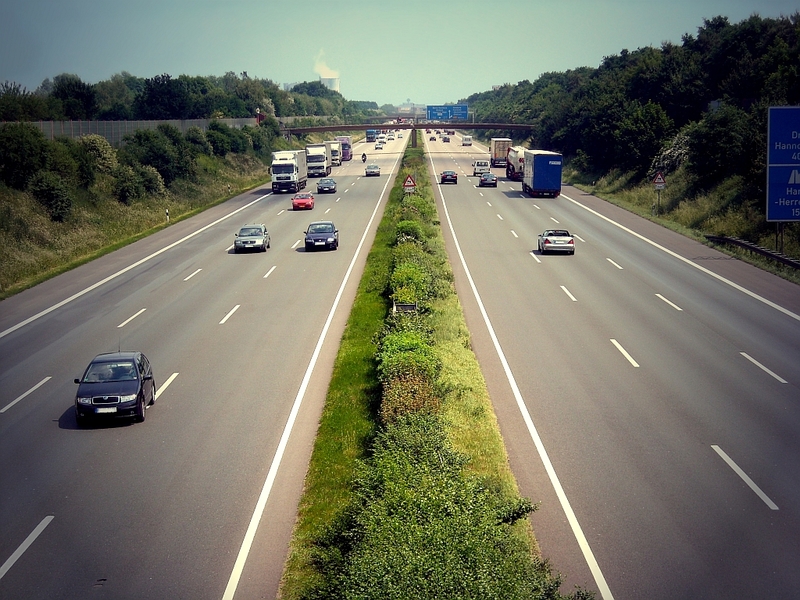 The flight time, the group experience of the camper, the safety of the train, or the convenience and low cost of a trip by coach? 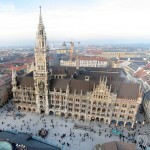 It really depends on the place of departure and in deciding on how many days to spend in Munich, as well as the available budget. 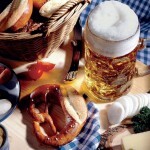 The Wiesn offers the best of Bavarian culinary tradition. 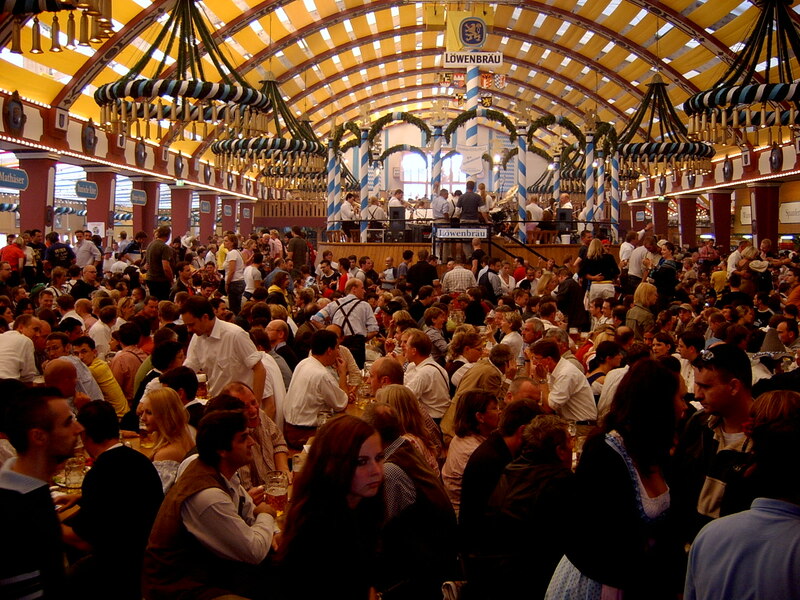 Clearly as previously stated, you must resign yourself and set aside your diet for a while because it is impossible to capture the true atmosphere of the Oktoberfest if you don’t fully embrace all its aspects. Shank, chicken and beef, skewered fish, horseradish, Obazda (cheese spread), spatzle, the inevitable potatoes, all traditionally prepared. Without a shadow of a doubt, the most important feature of the festival. 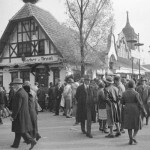 At the Wiesn, only beer conforming to “Reinheitsgebot”, the purity law of 1516, issued by the Duke of Bavaria, Clement IV, is served, as well as those brewed within the Munich city boundaries. 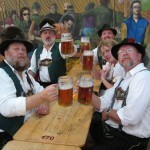 The breweries conforming to these criteria are; Augustiner-Bräu, Hacker-Pschorr-Bräu, Löwenbräu, Paulaner-Bräu, Spatenbräu, Staatliches Hofbräu-München. Choosing where to sleep during the event requires careful planning. 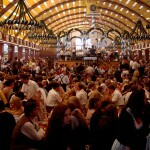 We are talking about the most popular event in the world, and although there are many places that provide overnight options, the demand for rooms exceeds the actual availability of beds in the city, especially during the weekend, with negative consequences for the price of a room, and finding a cheap hotel near the Oktoberfest is a difficult task. 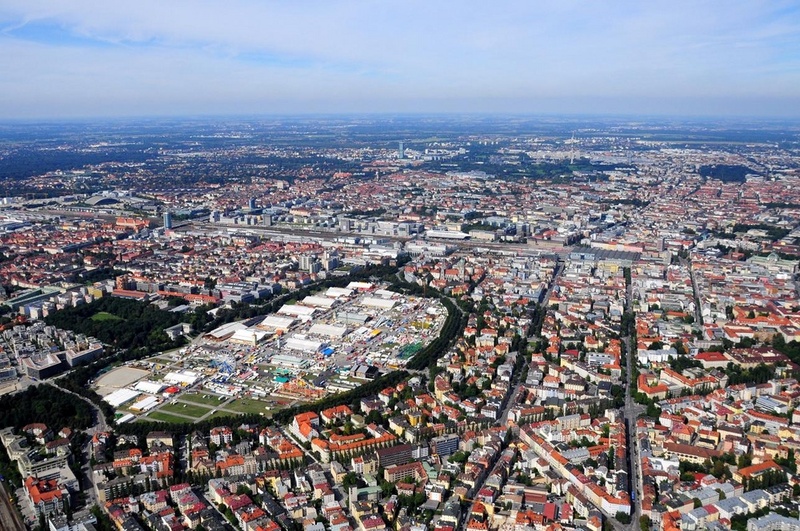 14 large tents, 21 small tents, dozens of stalls, the statue of Bavaria, the green area, the post-hangover and drunkenness recovery area, the rides, the panoramic big wheel, the medical aid centres, the police station, the amenities on the 42 hectares of the Theresienwiese. 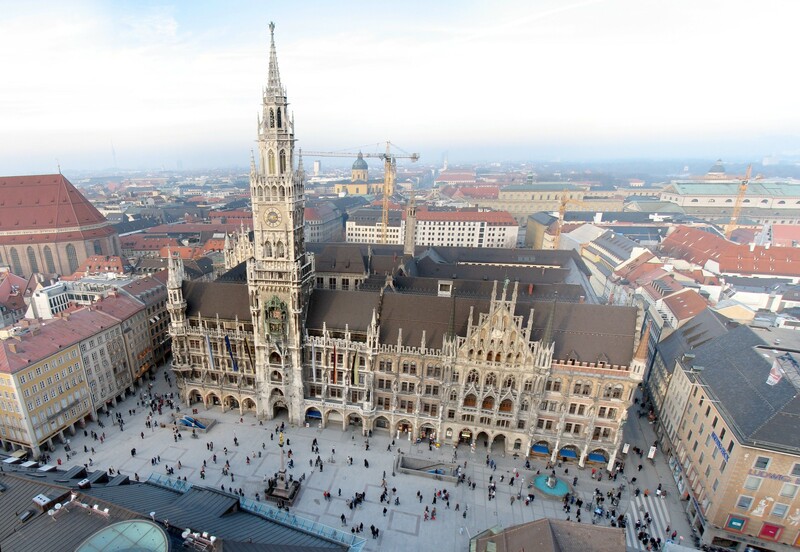 Since 1887 the official Oktoberfest opening has been the arrival of the hosts who, with the exhibitors, pass through the centre of Munich on board beautiful horse-drawn carriages to the Theresienwiese. 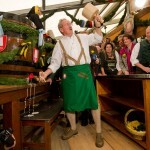 This ceremony is called the “Wiesn-Einzug der Festwirte und Brauereien” and starts at 10.45 from Josephspitalstrasße finishing inside the Schottenhammel tent where the opening ceremony culminates with the opening of the first keg by the mayor. Every Saturday during the Oktoberfest, from 14.00 onwards all the Italian tourists ( for the German translation write “German tourists”, in French “tourists in the French language”, in Spanish “tourists in Spanish”, in English “tourists in English”, in Russian “tourists in Russian”) can join a guided tour of the city, through its historic centre, discovering the origins and the history of the Oktoberfest, the monuments, the palaces, the squares of Munich, with half day trips by bus and walking tours. A useful way to get to know the city in depth with the limited time available. It all began on 12 October 1810 with the marriage of Crown Prince Ludwig, who became King Ludwig I, and Princess Teresa of Sassonia-Hildburghausen . 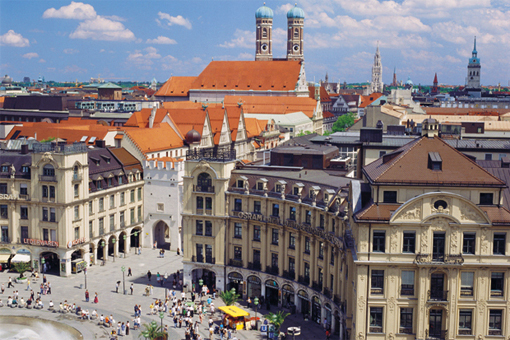 A member of the Bavarian National Guard proposed a horse race in the fields in front of the city gate to celebrate the happy royal event. The fields thereafter were named Theresienwiese (“Teresa’s meadow”) in honour of the princess, even though the locals shortened it to just “Wies’n”. 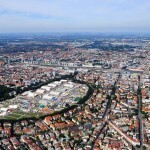 The horse races were thus staged on 17 October which would later be replaced with the tents. You must be familiar with them? The notoriously thick-skinned icons of the festival. 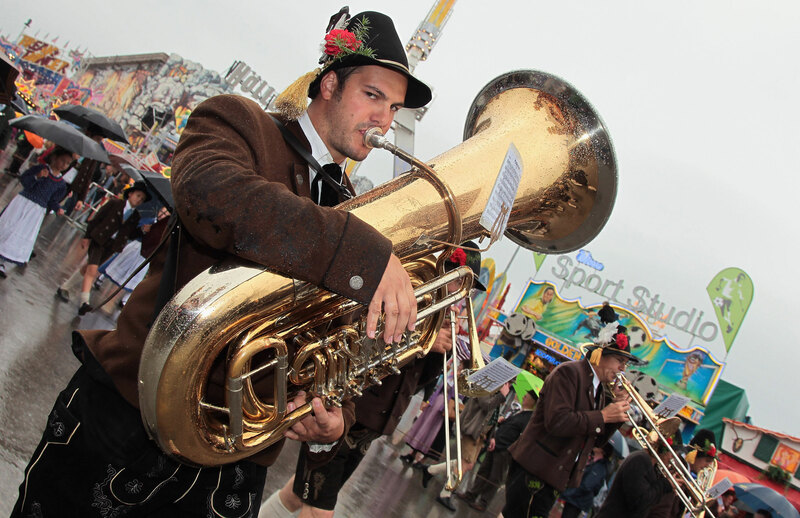 The real bosses of the Wiesn. 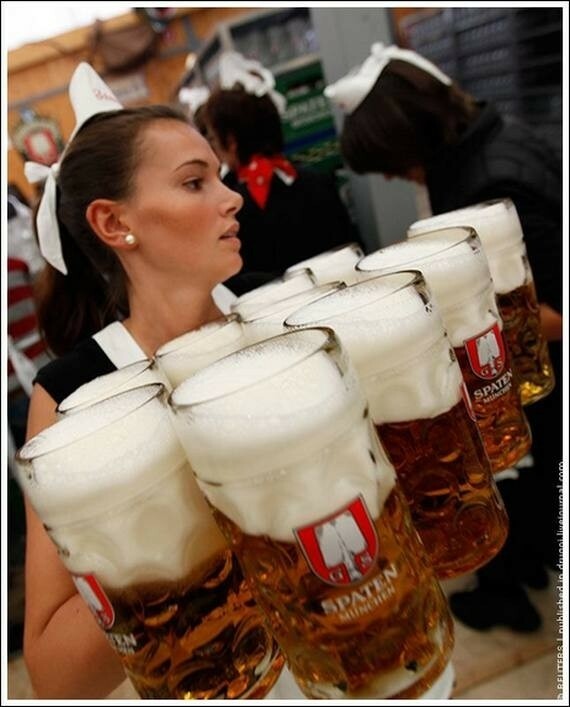 One of them, Anita Schwarz, managed to bring 19 one litre stein beer glasses, that’s 40 meters, all in one go, placing them on the table without even spilling a drop! 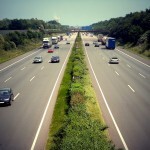 Being pleasant to them will ensure you have a faster and better service! So having a polite and friendly tone and not being miserly with the tips will make all the difference. If you earn their good favour, they may even help you find a place in a tent that is already packed. There’s a group of 8 of you and you are planning to go in and you see at the far end an empty table waiting for you… Wake up … you’ve been dreaming! At the opening of the tents at 09.00 “all hell breaks loose” … remember the stampedes by the Japanese at the doors of computer shops at a launch of a new I-phone model? Well… that’s a gentle Sunday stroll in comparison! Organising your day to be able to find a place and to have fun is essential. 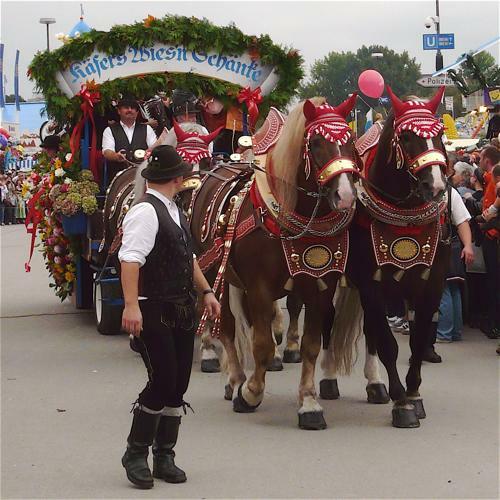 The Trachten und Schützenzug was established to celebrate the silver wedding anniversary of King Ludwig I and Teresa of Bavaria in 1835. A real parade took place that year but was only reinstituted in 1950. 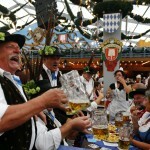 It is a real costume parade, which today has become a pivotal event of the Oktoberfest, broadcast live all over the world. It takes place on the first Sunday of the festival with around 9,000 people taking part exhibiting costumes, customs and folk dancing. 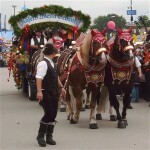 As with any self respecting festival, there is no shortage of rides and they certainly contribute to the reputation of the Oktoberfest as a true “playground”, conveying the unique atmosphere of the Wiesn. 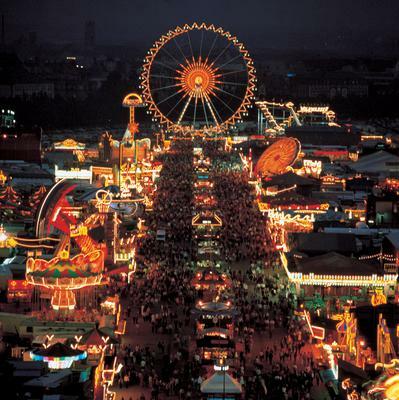 From the historic big wheels to the more modern attractions, there is something for everyone as there are many who visit the Oktoberfest perhaps not to drink beer, but just to spend an afternoon in the Luna Park. How long does it last? 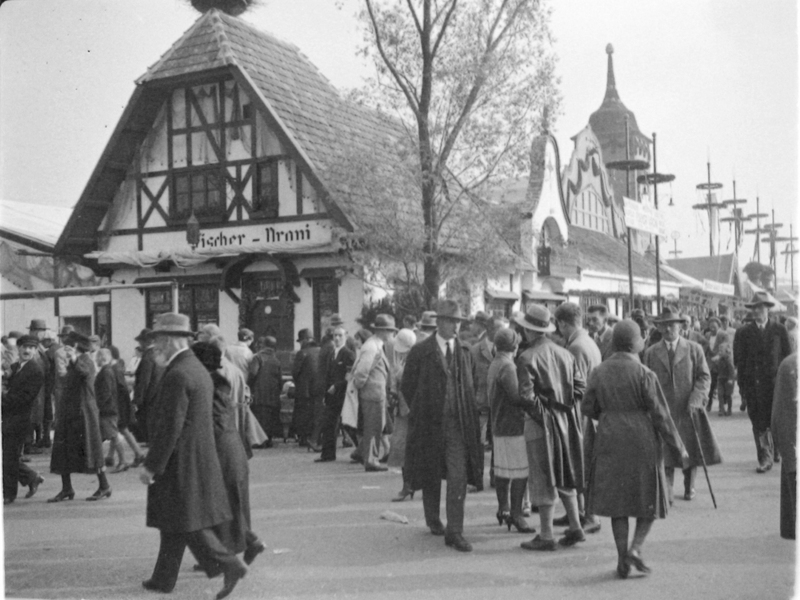 When will the Oktoberfest take place in the coming years? Do you have to pay to enter? Is it possible to enter with a backpack? How much does a leg of pork cost? Is smoking permitted in the halls? 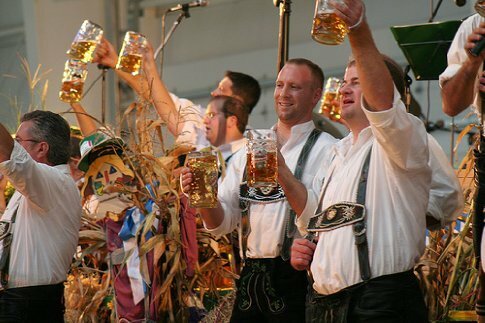 Not just today’s songs, but its real anthems, an essential element of the festival, popular songs such as “Ein Prosit der Gemütlichkeit” and “Rosamunde” have become a distinctive element of the Oktoberfest, as much as the beer itself.